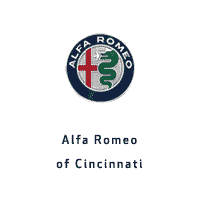 When Alfa Romeo announced its return to the North American mass market, we admit to having been skeptical. In our defense, the launch of the Giulia took longer than expected, but it was well worth the wait. From its flagrantly sporty exterior to its chic cabin, the Giulia exudes Italian flavor, even in its base trim. To live up to its looks and heritage, an Italian car must also provide a thrilling driving experience, and the Giulia delivers there, too. Its agile handling and gutsy turbocharged engine make it an enthusiast’s delight. The Giulia is a new model from the revitalized Alfa Romeo brand and, along with the high-performance Giulia Quadrifoglio (reviewed separately), sets its sights on premium-branded, entry-luxury sports sedans from Audi, BMW, Jaguar, and Mercedes-Benz. Review quoted from caranddriver.com article.